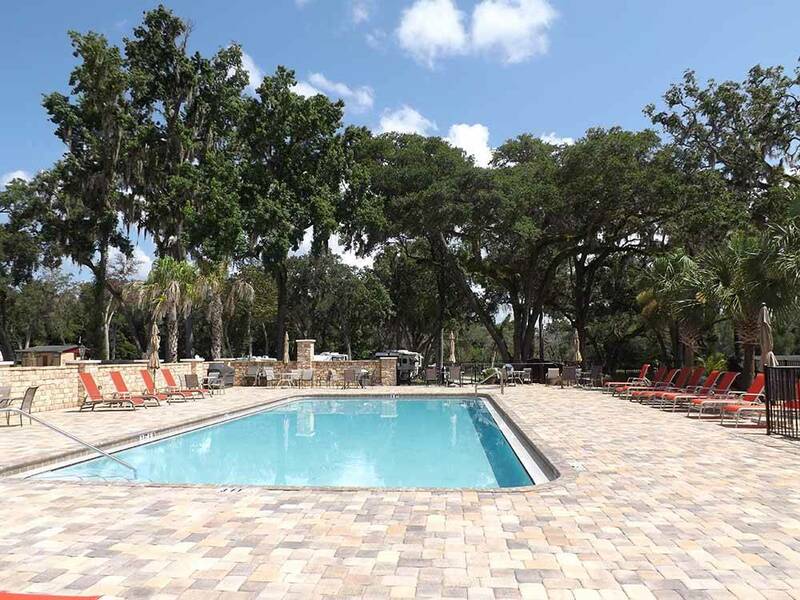 Enjoy Brooksville - a location close to everything the Sunshine State has to offer, yet away from it all in the peace and quiet of Central Florida. 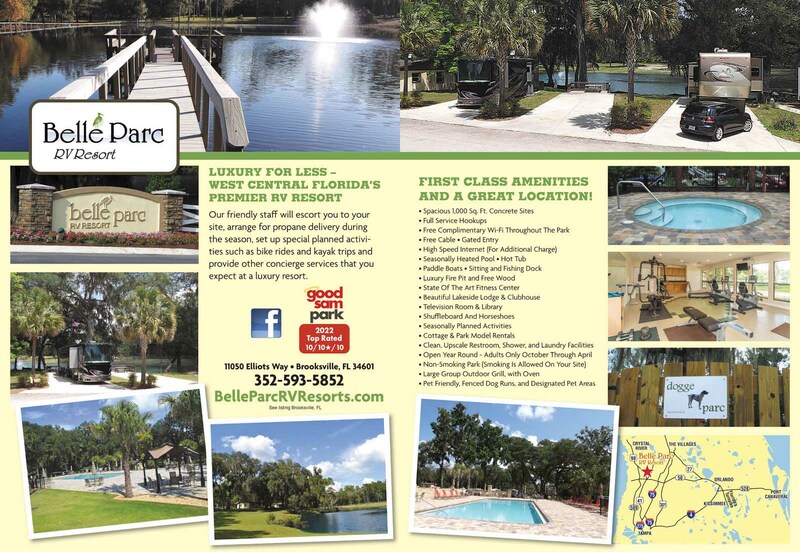 Belle Parc offers large sites, free WiFi, a heated pool, lake views and more! Construction is over but they never built the entertainment building or the bathhouse/ laundry building as promised. I guess they ran out of money even though they keep raising the monthly fees. Lots are nice size, grass is coming in but laundry facilities not so much (basically out in a shed). It’s managed on a day to day basis with allot of promises. All breeds of dogs allowed including aggressive breeds! Several rumors as to why it’s failing. Won’t be coming back next year. Shouldn’t be on the 10 scale for snow bird stays ok for short term. Owner wants to go to long term reservations. This place is a construction zone, 5 yrd dumptrucks bringing in sand starting at 7am till 5:30pm. Heavy construction equipment putting sewers and water lines eveywhere! Total dirt sand everywhere. Owner is taking $500 deposits for next year to show the bank he has money comming in during the construction of this park. If you like dirt and construction noise during the day then this is your place otherwise look elsewhere! Maybe in 2 years this campground might look like the pictures on the website.